You, as a CEO have a great idea — a new project, something you want to do — and you bring it up to the team, you have some discussion…and it fizzles out and somehow you end up doing things the same old way you’ve always done. What is that? What is going on here? Now first, it’s entirely possible that you have one or more of the issues that we just talked about to solve: actual tech issues or actual performance issues on your team. But I want you to consider this: there’s a role missing on your team that’s becoming critical, now that your business is at this stage. And to explain it, I love to use the restaurant kitchen metaphor, because it just works so well. It is very likely that most of the people on your team that you consider “ops people” are like line cooks. They are executors. They’re hired to cook burger to perfection, each and every time, 50 times a night during service. They’re well-suited to the work and pace — and they are worth their weight in gold! In this scenario you’re the executive chef. You’re the one dreaming up the new menu items, with a really clear sense of what your customers are craving and what would surprise and delight them. So you craft this new menu item – and you hand it to your line cook (and if we’re being REALLY realistic, you hand it to them right before the dinner crush, but that’s another story). And: none of your line cooks know what to do with it. I mean, they’re game, they’re excited and they are excellent cooks, but…this dish has shiitakes in it and we don’t even have those in the kitchen – that’s a completely new item. And this dish needs different personnel doing different things, with it all coming together right on the plate before it goes out and gets served to your customers. It’s not that line cooks can’t execute on a dish like that, ever. It’s that they aren’t built to “just know” what to do by looking at what you’ve given them. The person who is missing is the Kitchen Manager. A kitchen manager is responsible for the overall operations for the back of house. Kitchen managers hire staff, source and purchase food, and make sure everyone is trained on proper food prep and kitchen safety techniques. THAT’S the person you hand off your new menu idea to — not your line cooks. To bring this metaphor home, the kitchen manager is your COO or Head of Ops. And, my guess is that many of you don’t have one. This means you either think YOU’RE doing the job of translating your vision into “all the things that need to get done” — or you haven’t recognized this is the missing element, you really think that throwing a menu at a line cook is all that’s really needed. And this is the reason your line cooks will silent-veto your idea. Do you listen to them? Are they at the table when you’re crafting your ideas? The best way to use their expertise is to have them listen in during the idea building stage, with their ops hat on, mentally breaking down your idea into a work plan and offering feedback and tweaks. You’ll find that little adjustments to your ideas can have a significant impact to the “back of the house” who need to execute on it. Plus, they can give you realistic time-frames, budgets, telling you whether the existing team can handle it or whether you need to add headcount, etc. 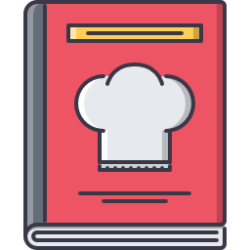 If you want to scale, this kitchen manager/Head of Ops is a critical function that must be represented on your team, to bridge the gap between your vision — your menu — and the line-cooks who are going to execute on your vision.